THE Traverse Theatre is taking Locker Room Talk to the Scottish Parliament for a special performance on Thursday 9 November. The play was conceived as a response to the now-infamous sexually aggressive comments made by Donald Trump during his election campaign. With the recent allegations of sexual harassment and assault relating to Hollywood juggernauts like Harvey Weinsten and Kevin Spacey – and Michael Fallon’s resignation – the performance and post-show discussion could not be more timely. The piece of event theatre was created by award-winning playwright Gary McNair and directed by Traverse Artistic Director Orla O’Loughlin. She said:”It lays bare some very ugly behaviours in an attempt to challenge the attitudes which can lead to abuse – and we continue to be overwhelmed by the interest and engagement of those who have seen the show. “We believe that the first step towards positive change is visibility and discussion. Locker Room Talk brings together hundreds of hours of interview material with real men, interviewed in male-dominated spaces, speaking about women. 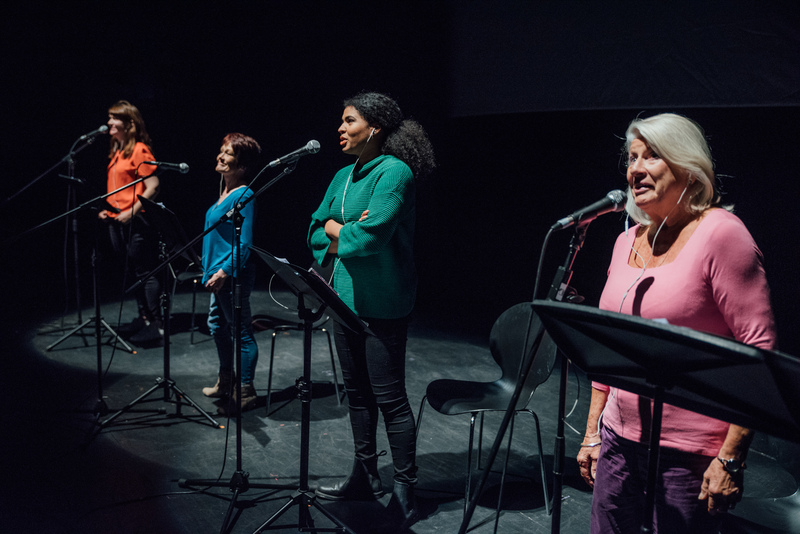 These words are then performed, verbatim, by a cast of four women, with Blythe Duff joining the cast for this one-off performance alongside Maureen Carr, Rachael Spence and Joanna Tope. Talking to the Sunday Post, stage actress and Taggart star Blythe Duff said that these ‘jaggy’ discussions are ones we need to start having. She said: “It’s not an easy thing to tackle, but people everywhere – the theatre community, businesses, politicians – all have to hold their hands up and admit there’s a problem.